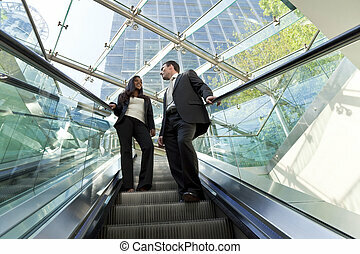 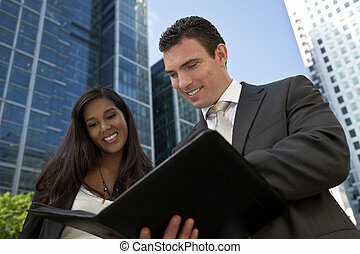 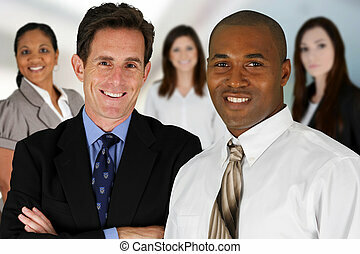 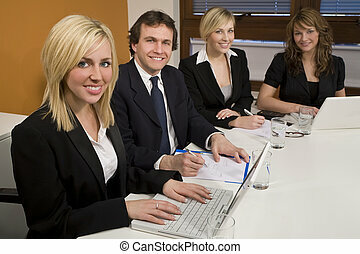 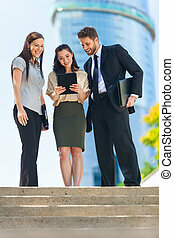 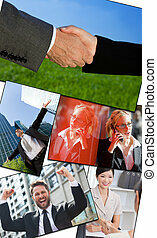 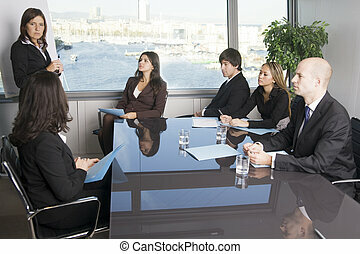 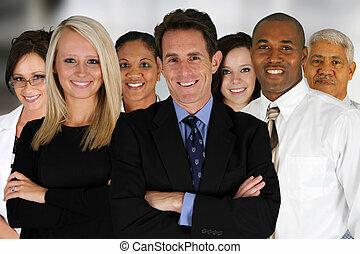 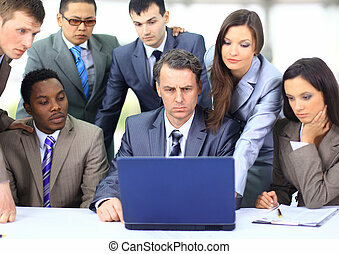 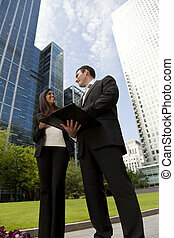 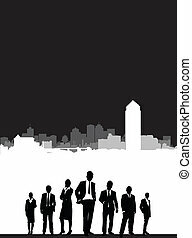 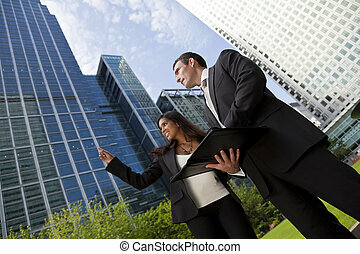 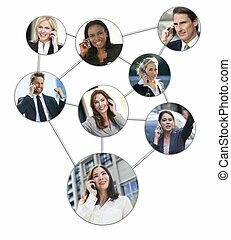 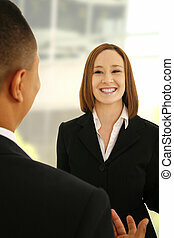 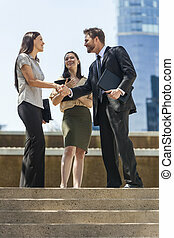 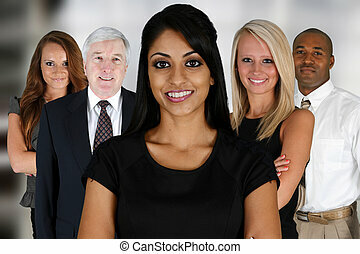 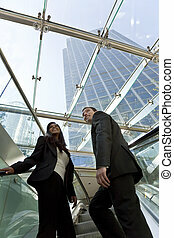 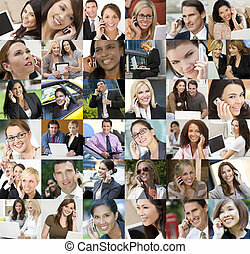 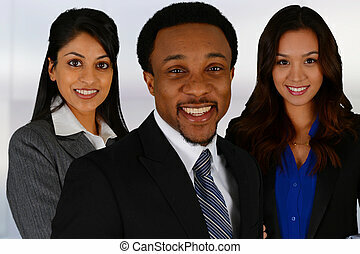 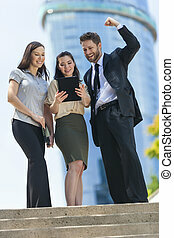 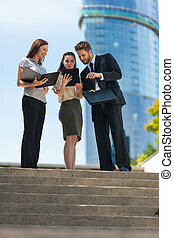 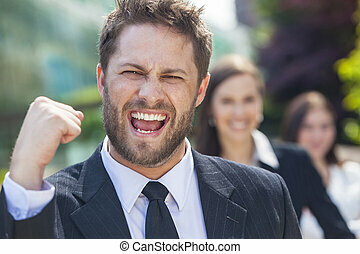 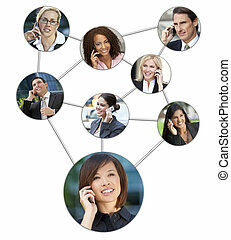 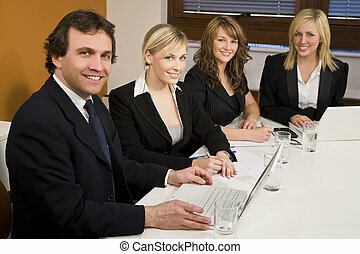 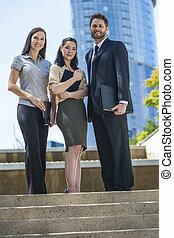 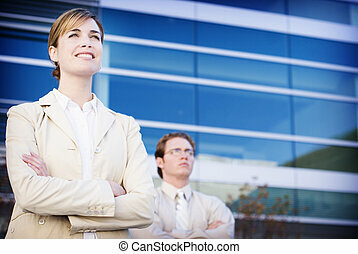 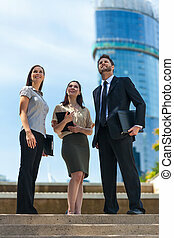 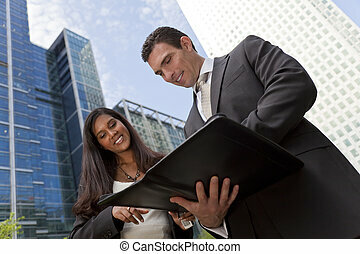 Interracial male and female business team in modern city. 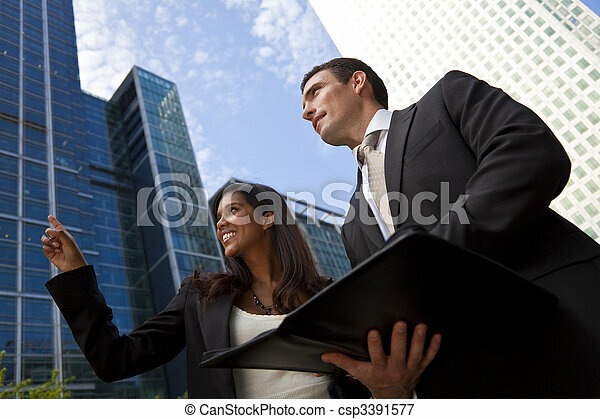 A smiling indian asian businesswoman and her male colleague taking part in a happy business meeting outside in a modern city environment. 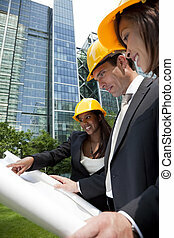 A group of three executives, one man and two women, wearing hard hats review architectural plans in a modern city environment. 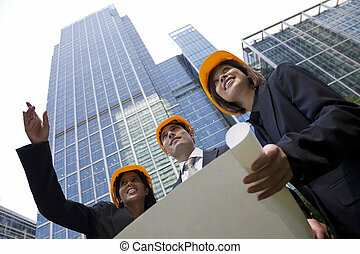 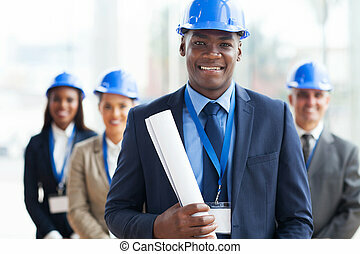 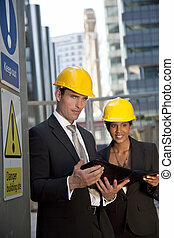 Two executives, one man and one women, wearing hard hats review plans in a modern city environment. 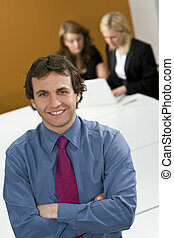 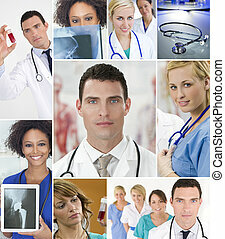 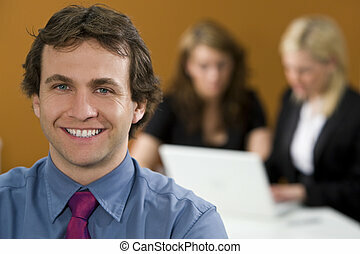 The focus is primarily on the man in the foreground. 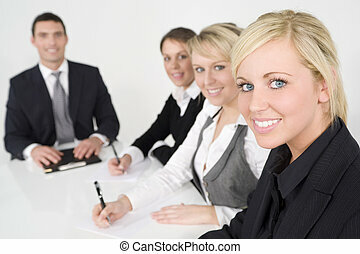 Three female executives and one male having a meeting in a boardroom - the focus is on the blond businesswoman in the foreground. 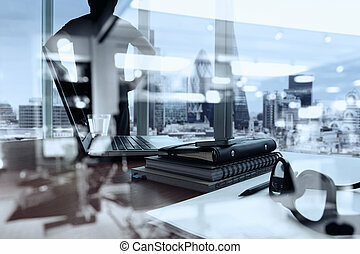 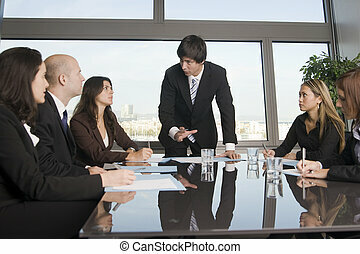 Three female executives and one male having a meeting in a boardroom - the focus is on the businessman in the foreground.